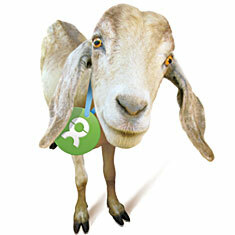 Bet you never thought of getting your grad a goat? But, there's a good chance that's just what your social conscious graduate would prefer. Choose from dozens of gifts that do good and support your graduate's dreams to make a difference. For the dorm-room dweller who’s short on space (and time), this machine has a tiny footprint and brews a great cup in a minute. From the grad gift list at Martha Stewart Living. Upcycled Wetsuit iPad sleeve $28, UncommongoodsNo matter where the adventures lead, this protective case made from recycled wet suits, will guard his gear. From the grad gift list at Real Simple. Sturdy canvas and ample cargo pockets make this shave kit a must-have accessory for college bound dudes. If you're sure you know where your high school graduate is headed in the fall, go online and shop that school's bookstore for gifts emblazoned with the school name or mascot, like this super versatile woven afghan from the Stanford University bookstore. Summer is just around the corner. While we definitely believe that summer should be a time for family vacations, relaxation, exploration, and memory making, we--as educations--also dread the summer brain drain that most students experience. Check out these stats from the Johns Hopkins University Center for Summer Learning, quoted in Dr. Ruth Peters' MSNBC interview about summer learning loss. Low-income children and youth experience greater summer learning losses than their higher income peers. Students may not have the same structured meal schedule and access to nutritious meals during the summer. Studies show that out-of-school time is a dangerous time for unsupervised children and youth. 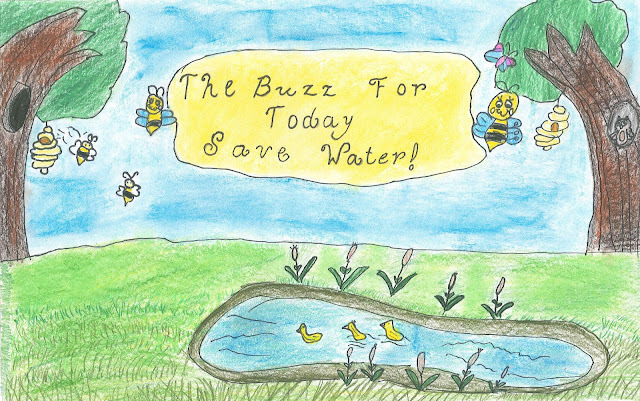 Only about 10 percent of students nationwide participate in summer school or attend schools with non-traditional calendars. A majority of students (56 percent) want to be involved in a summer program that “helps kids keep up with schoolwork or prepare for the next grade”. Research shows that teachers typically spend between 4 to 6 weeks re-teaching material that students have forgotten over the summer. 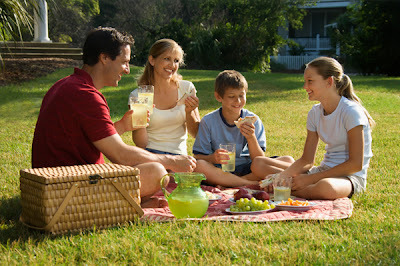 At least 11 percent of children between the ages of 6 and 12 care for themselves over the summer months (unsupervised). Yikes! 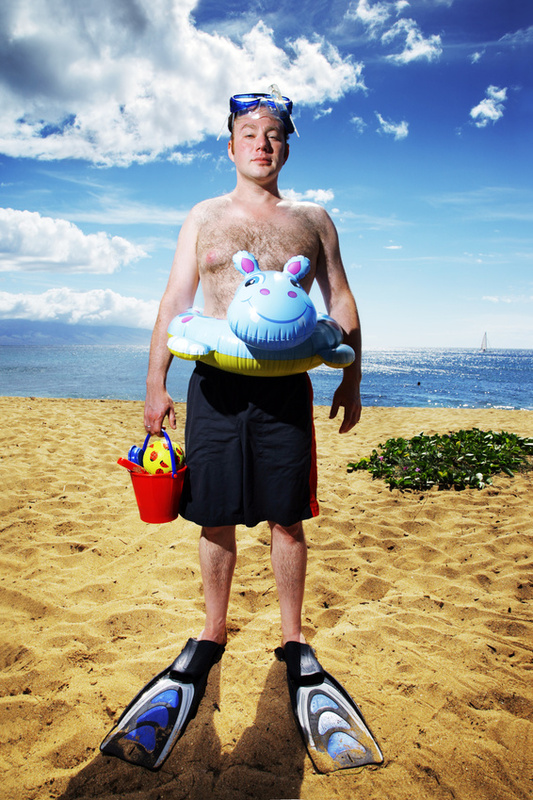 So what can you do to help your child beat the summer brain drain this summer? At Fairmont we recommend a careful balance of summer fun and academic preparation. 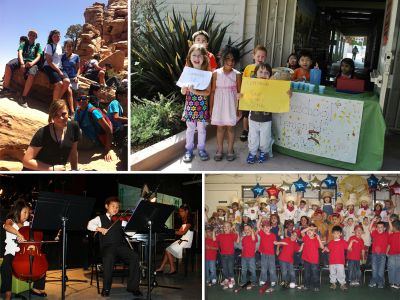 Fairmont's Summer Program offers a split-day program with summer school in the morning, summer camp in the afternoons, and off-site field trips on Fridays. 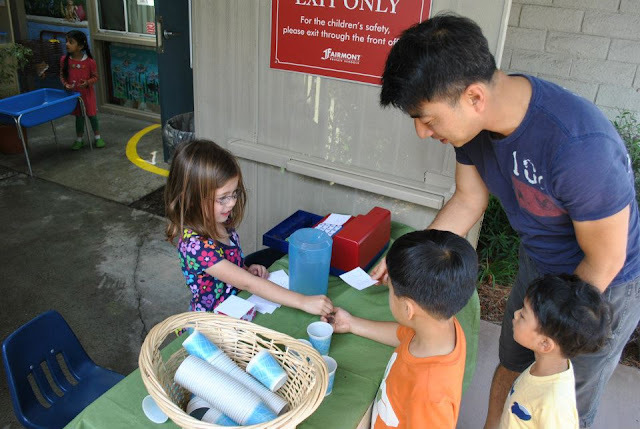 This model gives children a chance to prepare for the next school year while still having a summer camp experience--complete with pool days, crafts, outdoor excursions, team building, and more. No matter what your plans are for your kids this summer, be sure to supplement play time with learning opportunities whenever possible so they are well prepared for the next school year. 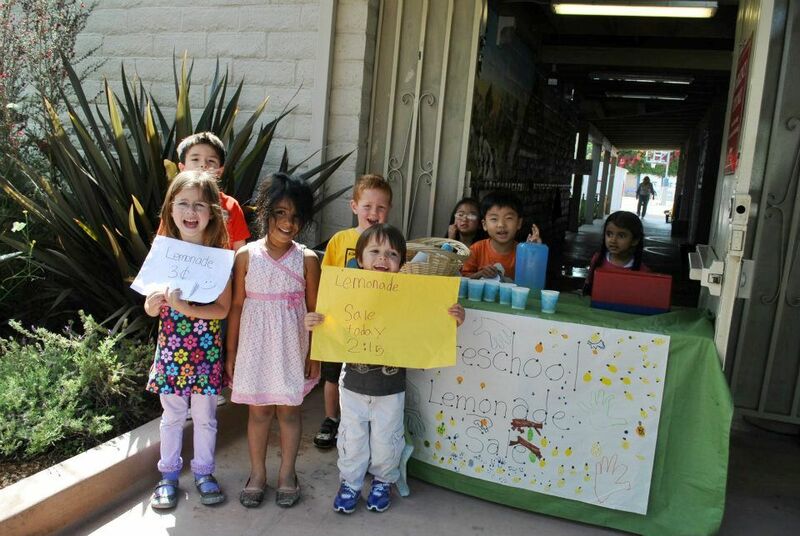 To learn about money and practice their math skills, our Edgewood preschoolers held their very own lemonade sale. 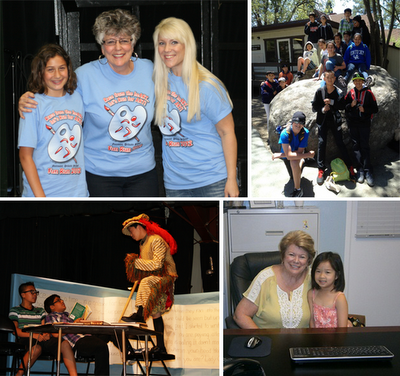 We love when summer tradition meets education! American Flag—The stars and stripes is an enduring symbol of all that our country represents. Fly Old Glory with pride on Memorial Day, and share these fun flag facts with your kids. Grilled Food—Memorial Day unofficially kicks off grilling season. Before you fire up the barbie, get your grill in shape with these prep tips. Patriotic Decorations—Red, white and blue are festive colors to play with on Memorial Day and any decorations you craft can do double duty a few months later for Independence Day. Check out these décor ideas from Martha Stewart Living. Moment of Remembrance—at 3pm on Memorial Day, observe the National Moment of Remembrance and take a minute to remember the men and women who have paid the ultimate price to safeguard our American way of life. Take your patriotism a step further by visiting a war memorial or donating to a quality cause supporting our veterans such as the Intrepid Fallen Heroes Fund. Dessert!—There are plenty of sweet ways to top off your celebrations, but I’m partial to desserts that make the most of the spring’s bounty of berries. I'll be trying these Grilled Balsamic and Brown Sugar Strawberries. Congratulations 6th Grade Pentathlon Teams! On Saturday, May 5, Fairmont students participated in the Orange County Academic Pentathlon. This one-day event provided an opportunity for our students of all ability levels to engage in an academic competition that evaluated their performance in five content areas: social science, science, math, literature, and essay. 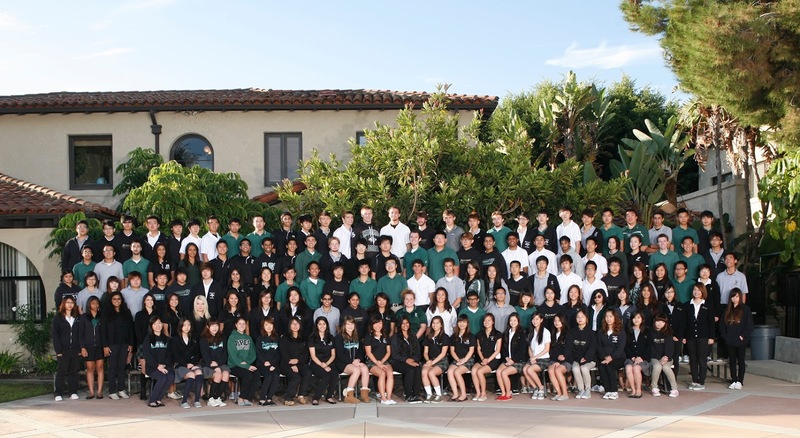 The competition attracted eighty-six teams from public and private schools throughout Orange County. Since January, the teams have been preparing with their teachers. Their dedication and teamwork paid large dividends. In Division 1A, the most challenging division, the Fairmont teams took home numerous individual and team awards! Information to follow on Monday, May 21. Mr. Bruce Hockman was a social studies teacher at the Mable campus 33 years ago, and he wanted to show his students about some of the theories they were learning about. So he proposed the students organize, and run a carnival for the other students. The goal was that the 8th graders would learn about supply and demand, profit and loss, planning, scheduling and time management. Any profits from the carnival would go towards the junior high promotion events planned for later that year. The carnival was a huge success and all the students had a great day and the 8th graders learned a lot about hard work! When Mr. Hockman passed away the carnival was renamed in his honor. Students from all campuses are invited to attend. Read more in the carnival flyer. 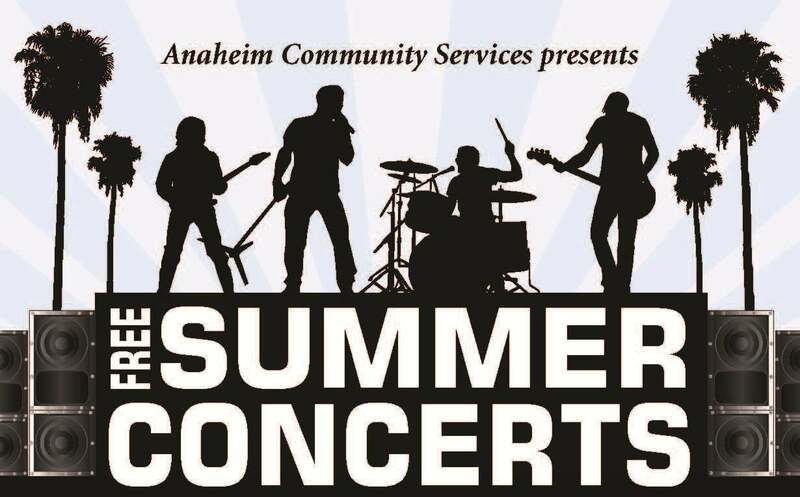 All concerts are FREE! Bring lawn chairs and blankets. Gourmet food trucks, free games and activities for all! Ronald Reagan Park, 945 S. Weir Canyon Rd. Relax and enjoy the sounds of the great live music! Bring your lawn chairs and blankets. Enjoy a picnic or purchase food or snacks from community groups. Admission is free! Bring your own picnic diner and/or buy food from local non-profit organizations and the Yorba Linda Volunteens. Seating is available in the amphitheateror grass areas at the park (chairs and blankets recommended). Dogs are not recommended due to safety issues and the comfort of others in attendance. Riding skateboards, bikes, roller blades, and scooters throughout the park during the concert is prohibited. Alcohol is not allowed in the park. Pack your picnic baskets, relax, and enjoy fantastic free entertainment for all ages under the summer starry sky! Bring your blankets or low lawn chairs and get ready for a great time! Reminder: food will be available for purchase courtesy of a local non-profit group and please leave pets at home. Performers subject to change. located off the 22 Fwy. & Glassell St.
For more information on free summer concerts in Orange County, visit OrangeCounty.net. 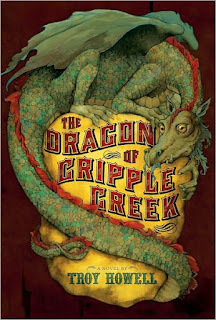 What does an ancient dragon, the Wild West and Fairmont's Anaheim Hills library have in common? Answer: They will all collide on Tuesday, June 5 from 6-7:30pm for the Anaheim Hills Library Grand Opening. Author/illustrator Troy Howell will be meeting with students during the day offering tips and inspiration from his career as an author and illustrator. As part of the Grand Opening celebration, he will be giving an interactive reading of his book The Dragon of Cripple Creek and signing books. Troy is an old classmate and friend of third grade teacher Denise Carroll and we're super excited that she was able to help us connect with this wonderful author/illustrator. You're invited to join in the festivities! Let us know you're coming by RSVPing here. We Love Our Fairmont Mamas! To recognize our amazing Fairmont moms, some of our campuses hosted picnics and celebrations this week. Our Citron students enjoyed Muffins with Mommy this morning. They serenaded their moms with songs they'd been practicing and had a morning snack. 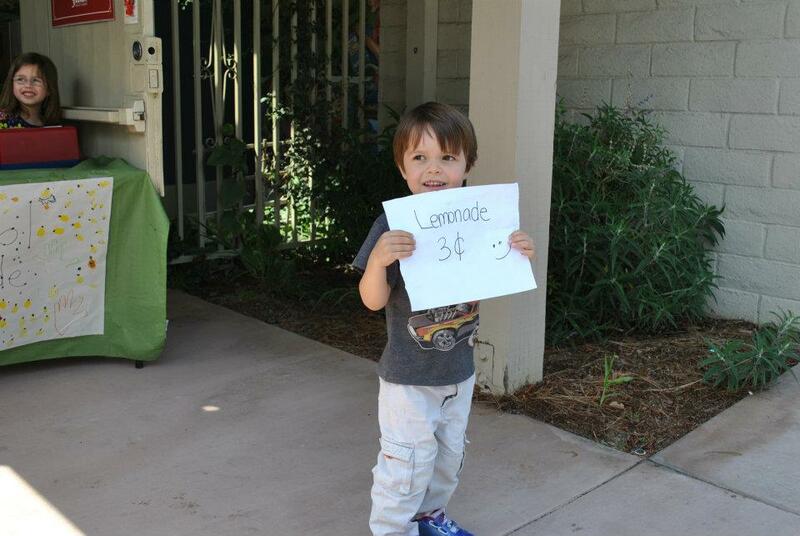 The JK and Kindergarten students at our Anaheim Hills campus loved seeing their moms at the Mother's Day Picnic. BOOK REPORT: You Weren't Always My Mom? We wish all you moms out there a very happy Mother's Day. Thank you for everything you do! On Thursday, April 26, Mable Campus inducted 31 students into its chapter of the National Junior Honor Society (NJHS). The ceremony was hosted by Mrs. Riley and Mr. Ickes, the NJHS faculty advisors. Students that are currently on the NJHS board spoke about the qualities of NJHS members. Bernard K., the acting President, spoke about scholarship, Leanne A. spoke about service, Justine G. spoke about leadership, and Ronik K. spoke about character. After the speeches, the new members were inducted. They each received a pin and signed the Mable NJHS Registry. View the complete list of inductees in the Mable Campus newsletter. In 2010 Fairmont launched the Blackboard Learning Management System for our preschool-12th grade programs to further integrate technology into our curriculum and extend learning beyond the classroom. Blackboard serves as an interactive portal for teachers to publish homework, course content, announcements and key resources for students to access from home any time. Our teachers have adopted this new platform with enthusiasm and are using Blackboard in amazing ways. We have also been pleased to provide parent logins to all of our parents, enabling you to easily access teacher and school announcements and keep track of your student's progress. This year you asked us to take Blackboard to the next level by integrating a mobile app so that your child(ren) can access their classroom from any device at any time. We loved hearing your feedback, and we listened! 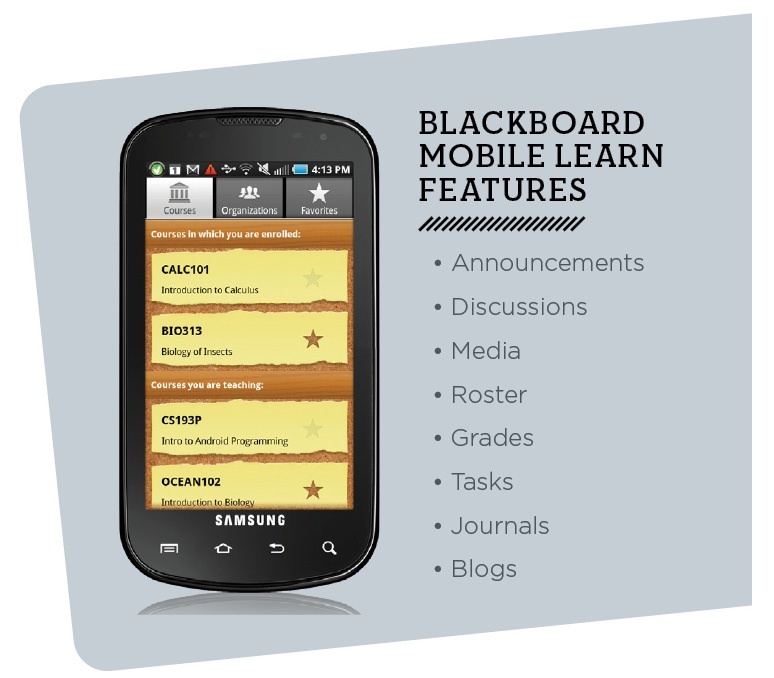 We are pleased to announce the launch of our new Blackboard Mobile Learn app. The app is available for free download on the iPhone, iPod Touch, iPad, Blackberry smartphones, Android devices, and HP web OS devices. The app is designed for student use, and Fairmont recommends the app specifically for grades 4-12. Students can log in and access all of the same resources as the web-based version, but in a dynamic, mobile-friendly way. Blackboard studies show that schools who integrate the mobile app see a significant increase in student online participation, and we are excited to offer our students another way to engage with coursework outside the classroom. 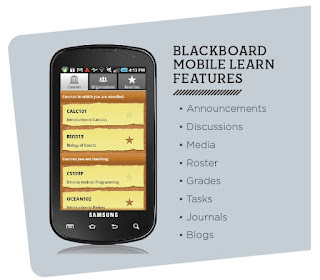 Unfortunately, Blackboard's Mobile Learn app does not yet support the parent login and interface. However, developing the best way to provide parents mobile access to homework, grades and key announcements is a project we are prioritizing this year and working with Blackboard to achieve. Please read the instructions below to help your student start using Fairmont's Blackboard Mobile Learn app today!